Pensacola Web Designs is a multifaceted IT resource for businesses and consumers across the Gulf Coast. Our focus is on building amazing websites and e-commerce solutions for customers but our skills extend way beyond websites. We can help your business with managing servers, networking, backup solutions, virus removal and more. 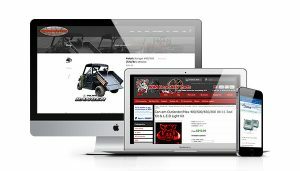 Designing great looking, fully functional websites is something we really enjoy and specialize at. There is nothing more rewarding than building a top notch website for a business and seeing it take off in the search engines and hearing that their business has grown as a result. We don’t just build a website, we build a powerful marketing tool that offers so much more than a few pages that show up in the browser. We work with our customers to tie the website in with social media, email marketing, Google Analytics and much more to make it a great resource for your business. We build websites that work! Today, having a website is a crucial part of marketing your business and if you sell products, you need to be selling your products online. We have helped many business dive into the e-com world and get their products online and we can help you too. Your online store doesn’t need to be a burden so we make it easy for you to add this additional avenue of revenue to your books. Our solutions are safe, secure and easy to manage. We can even integrate into your existing business software making it a seamless process. Learn about our many e-commerce solutions today. Businesses today rely on technology in many different ways and it’s vital that this technology perform the best it can. Computers need to be fast and virus free, files need to be secure and backed up and employees need to have the best tools available to efficiently and effectively do their jobs. 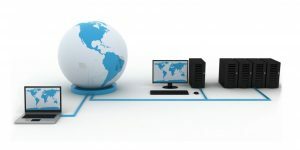 We can assist your business in choosing and deploying the best technology to match your needs. Powerful email solutions allow employees to be more productive. On-site and off-site backup solutions insure your company data is safe and recoverable in the event of a disaster. Virus protection and Unified Threat Management solutions keep networks and computers running at peak performance.